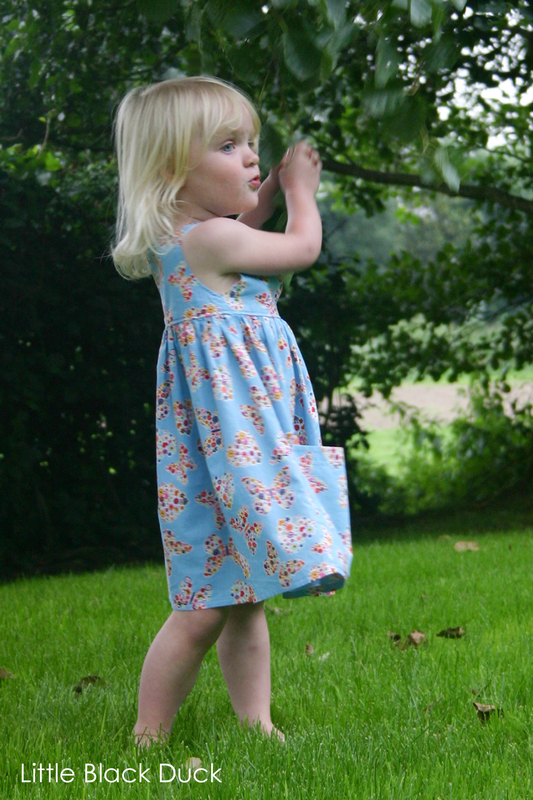 The Sally dress is a rally fab pattern and the dress doesn’t take long to make. I love the shoulder detail and the fully lined bodice, and of course, Charlotte loves the cavernous pockets! 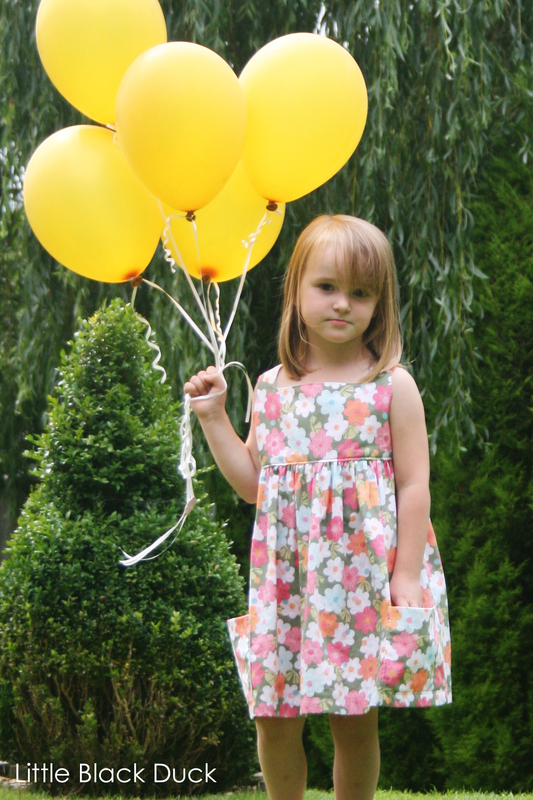 Charlotte loves how she can take it off on her own without any help or fuss as the Sally dress has been designed without any tricky zips or buttons. But best of all, Charlotte loves how it twirls! So, I have a question for you….When is a dress not a dress? Well, in the case of Emily a dress is not a dress if it’s not a Pretty Dress. I’m not totally sure what the definition is of a Pretty Dress, but I think it has something to do with a full skirt and a pretty pattern. Emily is such a ready to go rough and tumble kind of girl, but she just loves to wear dresses. Skirts and tops are just not good enough and as for trousers and jeans…pah! Dresses have to be Pretty Dresses and thankfully the Sally dress seems to fit the bill! 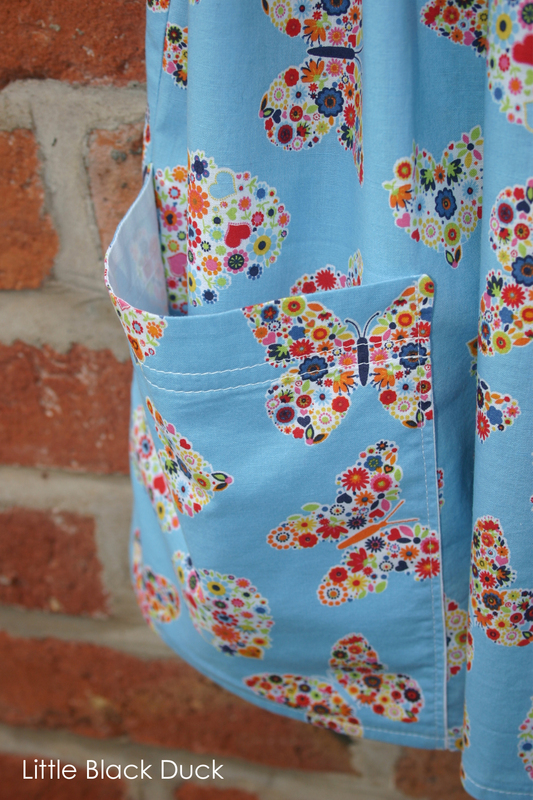 Emily also love the twirliness of the Sally dress and the large pockets, she can fit all sorts in there…including stones from the garden…told you she was a bit rough and tumble. 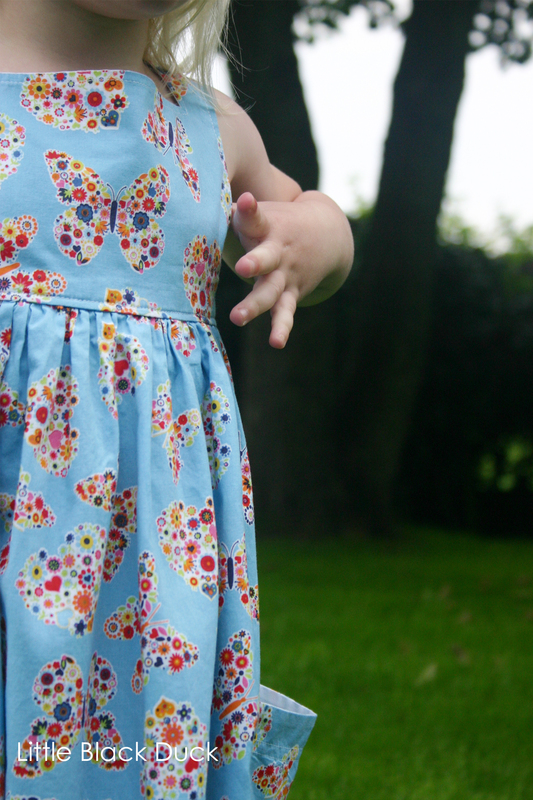 The fabric I used for Emily’s dress is called Fiesta and came from my local fabric store Watson and Thornton. They are so friendly and helpful in there, I am lucky to have such a great shop nearby. The Sally dress comes in three different styles. I chose the sleeveless version to make, but there is a version with short sleeves and a version with 3/4 length sleeves. 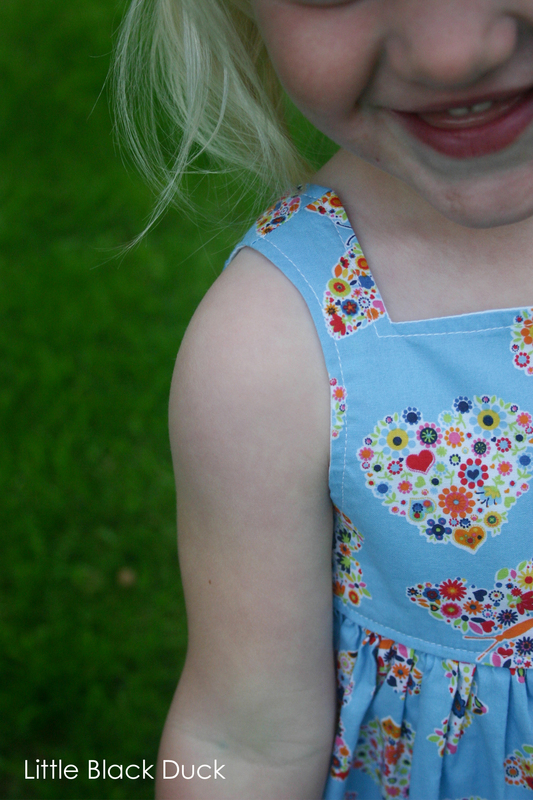 If time allows I will be making Emily a Sally dress with short sleeves in some really sweet printed needle cord that I have. Both are very cute! I love the twirly-ness! I love them…isn’t it such a great pattern? 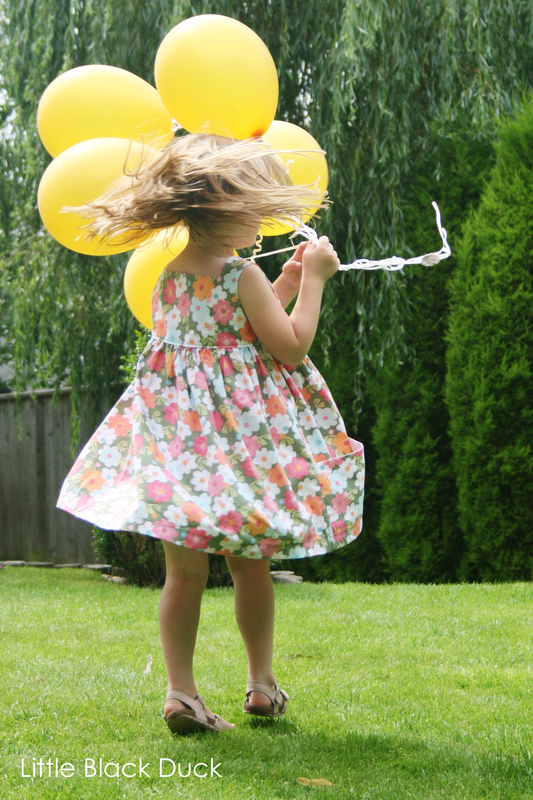 And those balloons, my daughter would be elated getting to play with so many balloons (it’s the simple things, right). The balloons came from Great Grandad Joe’s 100th birthday!! All the children played with them for hours…and not a single one floated off into the sky! I love your description of the pockets as “cavernous”! 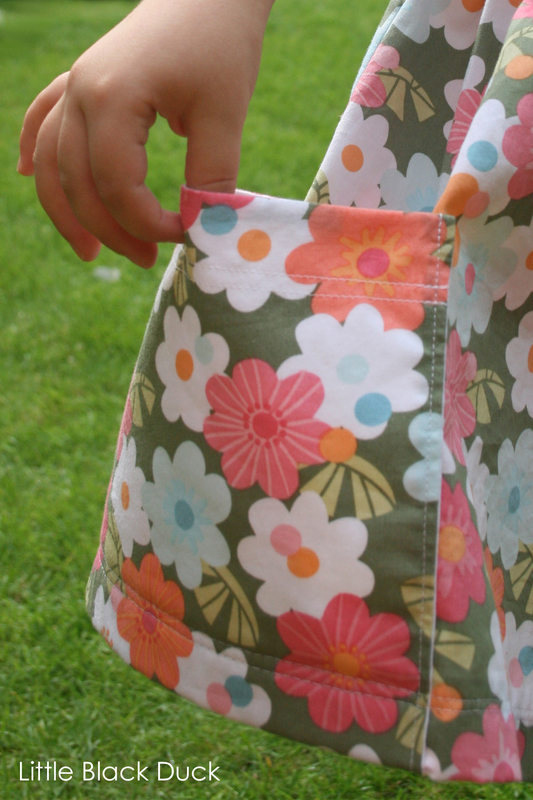 I agree and my girls like to cram stuff into them as well… Great versions, I love your fabrics!